For those who don’t know, could you introduce yourself and give a brief overview of what Infra is? I’m Oskari Samiola, the lead developer of the source engine game, INFRA, which is about crumbling urban infrastructure. In the game you play as a (somewhat) grumpy engineer, Mark, whose duty is to document the current state of the city infrastructure with a camera and a flashlight, to help save what still can be saved… Oh, and there’s puzzles. Infra’s plot puts you in the shoes of a structural analyst called Mark, who is given the task to save the degrading infrastructure of a city called Stalburg, a fictional metropolis, that is rundown, and on the brink of economic collapse. What was your main inspiration behind the story, where did the idea of a video game about structural engineering come from? Well, I have always been interested in various systems which provide us water, electricity and move things around. Basically all kinds of engineering have always interested me, I even ended up studying mechanical engineering in Lappeenranta University of Technology. The actual inspiration for INFRA came back in summer 2011 when I saw documentary called, “Crumbling America”, which was about terrible state of the USA’s infrastructure. 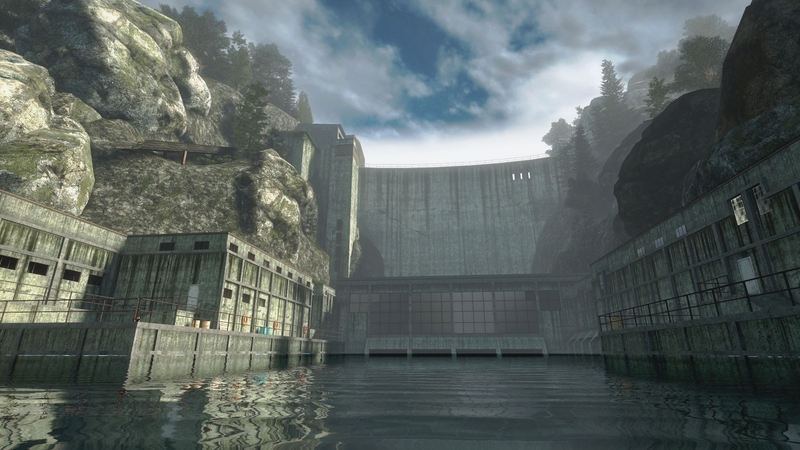 Infra was initially created as a Portal 2 modification, but became a standalone Source engine title after Steam Greenlight success in 2013. 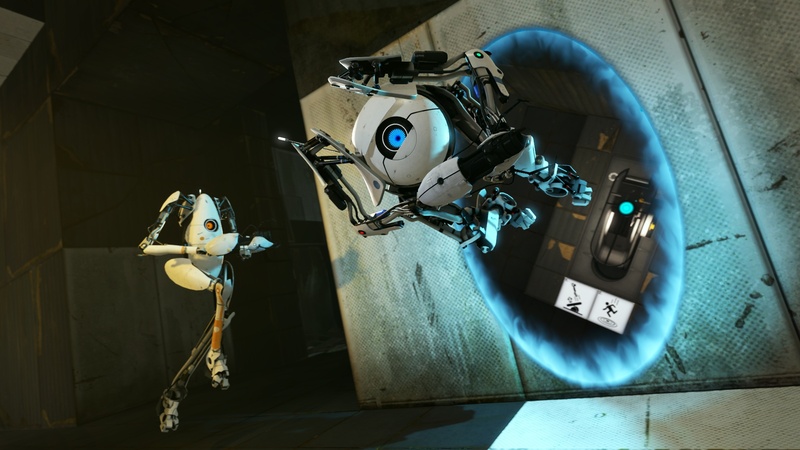 Out of all the game engines, why did you choose Source, and specifically the Portal 2 branch of it? What was your reasoning behind this? Did it present any significant development challenges? The reason we picked Source was because we are all Source engine modders and INFRA was originally intended to be a mod, but it grew out to be full standalone game. After Greenlight we did discuss switching the engine, but it would have required too much work to port all the content we had created… Rebuilding the levels and rewriting the code for the puzzles and in-game mechanics. Also it would have jeopardized modding support and the ability to create custom levels, which is important for us. The story relates heavily to themes of corruption, deception and corporative monopolization. Did the Half-Life series have any influence over you when writing the script? 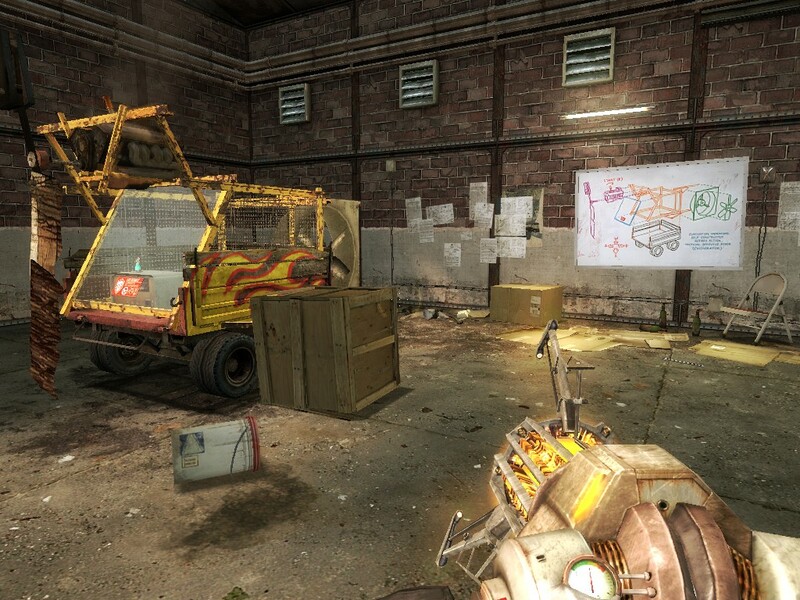 Half-Life had more influence on level design and gameplay than storyline, we wanted the story to be as original as possible. The first few chapters of Half-Life 2 have always been my favorite, where you walk around the city as an ordinary citizen and then escape the Combine via rooftops and canals. You can see similar level design in INFRA, and even more in INFRA Part II, which is situated in the heart of the city. The player will also be able to walk on the streets like an ordinary citizen of Stalburg. Were you inspired at all by other gun-free Source games, such as popular titles like The Stanley Parable or Dear Esther? Are you a fan of any classic adventure-puzzle games such as Myst? I must say, very little to not at all. Dear Esther did prove that you can create stunning environments with Source, but that’s the only influence it had on INFRA. 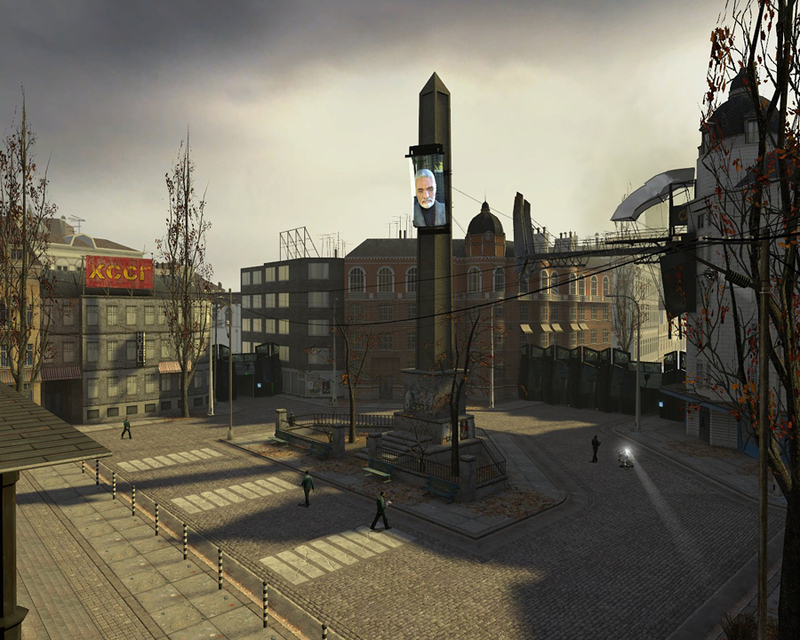 The Half-Life 2 mod Research and Development did have more influence on INFRA, as it has very interesting puzzles and gameplay-style, and I absolutely loved it’s level design – the huge industrial conglomerate with rails, halls and distillation columns. 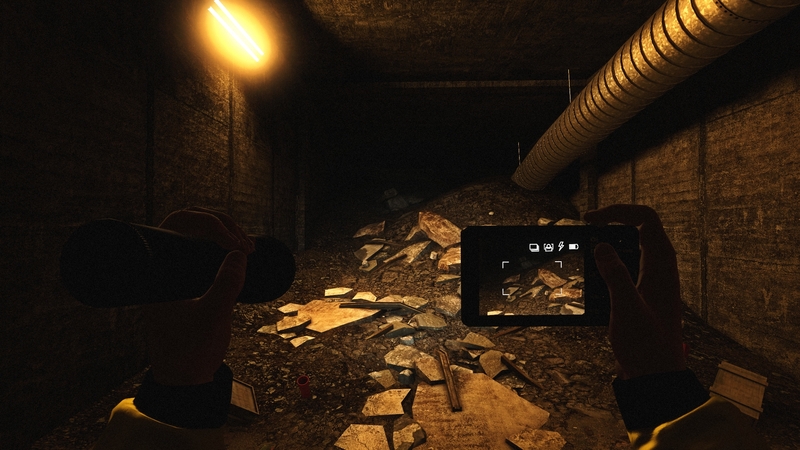 The player’s inventory consists of a flashlight and a camera. Unlike the majority of first-person video games, there are no guns whatsoever. As a result, some people have described Infra as a ‘walking simulator’. What do you say to this? For me INFRA is not a ‘walking simulator’ as there’s a lot more to do than simply walk around and look at things. I think that the slow pace (at the start) may have been the cause why some people describe INFRA as a ‘walking simulator’, but the game will gradually get more intense as it goes on. Much of Infra takes place in abandoned warehouses, sewers and industrial plants. 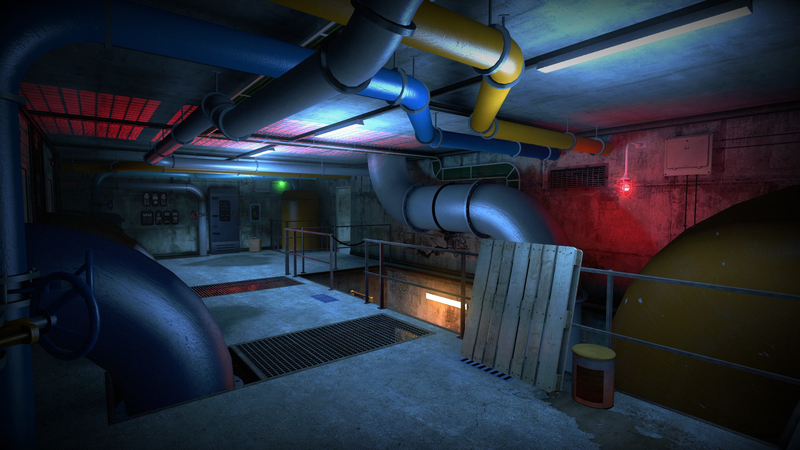 Did the likes of iconic Valve locations such as Black Mesa, Aperture Science and City 17 set a precedent for the game’s overall level design aesthetic? Were you at all inspired by these iconic Valve locations when designing the game? For me Google Earth has been the main source of inspiration for level design, but as I mentioned earlier, I liked the first chapters of Half-Life 2 and they had an influence on INFRA. Are there any other Half-Life references in the game? In the very first level you can find one subtle Portal reference. And in the next level, a subtle HL2 joke. Infra’s levels seem very detailed and expansive. Could you give us a little insight into how you achieved this? What was your main focus in terms of aesthetics, and how does this relate to the gameplay? From nearly ten years of experience in Source level design and countless of hours of creating custom models and textures. The focus was to create the surroundings as lifelike as possible, within the current limitations. For all the Source mappers out there, could you give us a rundown of the tools you used to create the maps? How long did it take to create the game and how many people are involved? It took 4 and half years to create INFRA Part 1 with a core team of five people. We use the standard tools that Source modders generally use; the glorious Hammer Editor, Photoshop, our preferred modelling programs are Blender or 3ds Max, Audacity for sound design etc. 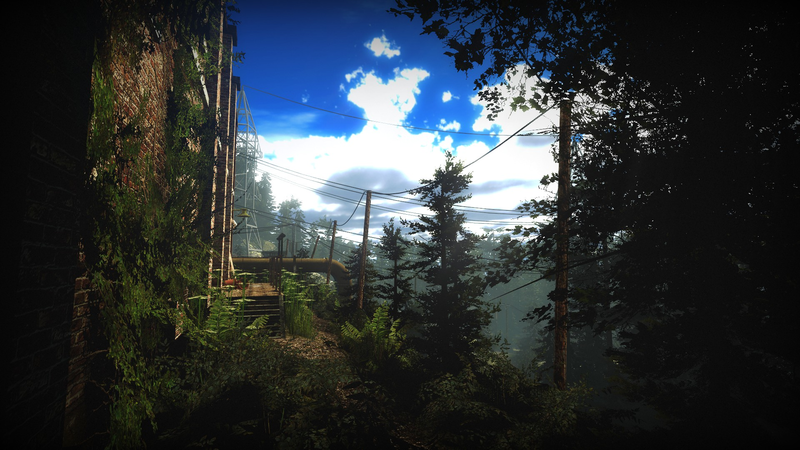 Infra was released on Steam in January this year in an episodic format. Could you give us an explanation to why you chose this path? How as the launch been so far? We chose an episodic format, because the game is enormous in size and length and would have taken ages to complete it, so we decided to split it and release the second part as a free update when it’s finished. Plus, the episodic format allowed us to get a lot feedback for developing the next part and helps us to build a playerbase (and hype) for the release of INFRA Part II. We have already received a lot of positive feedback from the community and the playerbase is steadily growing. When can we expect to see part 2? Because some previous experiences, I’m afraid to give exact dates, because, you know, ‘Valve time’, but it will be out sometime this year, that’s for sure. Thanks for everybody who have followed and supported us and for the team who has made this to come true! If you want to know more about INFRA, you can read our previous article here. You can checkout the official website and trailer for more information. Infra is currently available to purchase on Steam. 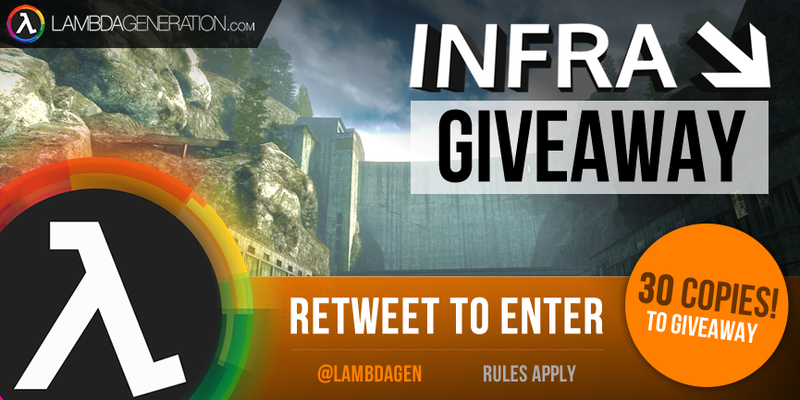 LambdaGeneration will be giving away 30 copies of Infra to our readers. We will be giving away 15 copies on Twitter and another 15 on Facebook, you can enter both to double your chance of winning a copy! The giveaway will be hosted on our Twitter Profile and Facebook Page, starting 6pm GMT on Sunday 3rd April 2016 and ending on 6pm GMT the following Sunday (10th April 2016). Winners have been drawn. Thank you to everyone who participated and well done to all those who won! We will be contacting everyone individually with their prize key today. If we are unable to get in touch or do not receive a reply from anyone who won by the end of the week, prizes will be awarded to runners up. UPDATE: Names in red are those we cannot contact. Twitter: Please follow us back to allow us to DM you, Facebook: Please DM us or comment here. Thanks! 1. On Twitter, to enter the giveaway, simply Retweet our Tweet about the giveaway. On Facebook, you can enter by Liking our page post about the giveaway. 2. Only one copy can be won per person (you may enter on both platforms for double chance to win a copy, but you are not allowed to win twice). 3. You may only enter using one account per platform. Do not create multiple accounts or engage in acts of spam to improve your chance of winning. Doing so will lead to disqualification. 4. Winners will be picked randomly using the Twitterdraw service (Twitter) and Woobox (Facebook) on Sunday 10th April 2016. The prize is a Steam code for INFRA. You must have a working Steam account to accept the prize. 5. LambdaGeneration.com (‘LambdaGeneration’) is not affiliated in any way or is endorsed by Twitter, Inc. (‘Twitter’) or Facebook, Inc. (‘Facebook’). 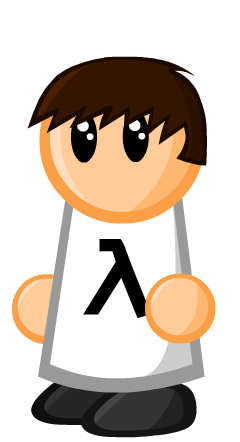 In addition, LambdaGeneration has no affilation with the INFRA developers Loiste Interactive Oy (‘Loiste Interactive’). This game looks so interesting. And thank you for the giveaway! You’re welcome Stein, good luck with the giveaway! Great mod and great developers.